As you know, I give syrup workshops via Airbnb called “From Flowers to Syrup” once in a while. This time the European Flavor Association, short EFFA, has asked me to have an atelier at the Grasse Flavour Day 2018 in the South of France. Because live cooking was not possible, I prepared 5 of my favorite syrups (cardamom, chili, orange blossom, smoked pepper and hibiscus) and the attendees of the conference could mix & match their own combination in a little empty bottle. But before mixing your own bottle, you could try out the flavors on a wooden spoon. Of course, everyone wanted to create the nicest combination, which is always a pleasure to watch. Additionally, next to my atelier was a great cocktail stand, where my syrups were used to spice up the cocktails. For instance: Gin Tonic with a touch of smoked pepper…. hmmm! About 80 people from the entire flavor industry attended the conference. All of them could get a nice gift bag from In-Imitable with their own syrup mixture, a hand-written label saying which ingredients they used, and a leaflet mentioning ways how to use syrup. Use it on your steak (instead of a cranberry sauce), or for your coffee (you probably heard about the new trend of lavender latte, that’s simply done with syrup), or on your ice-cream, fruit salad, cereals in the morning, smoothie, but also very nice in your salad dressing to give extra flavor! Just be creative! In short, I had a great time, learned a lot, spread the love, and made people happy – what else do you want?!? Thanks to EFFA for the opportunity, and to IFF for sponsoring this! 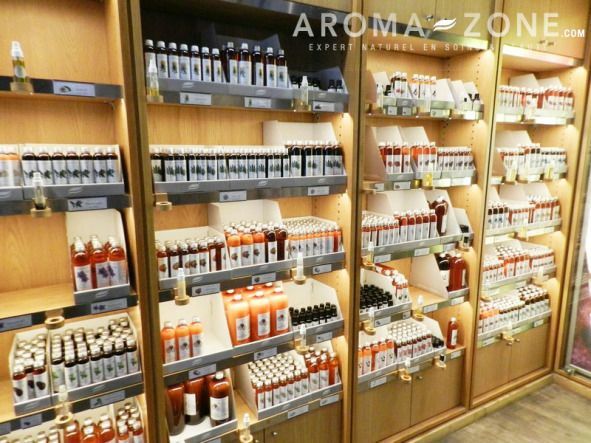 The new Aroma-Zone store welcomes its customers in a complete eco-designed environment made of copper, wood and wicker. 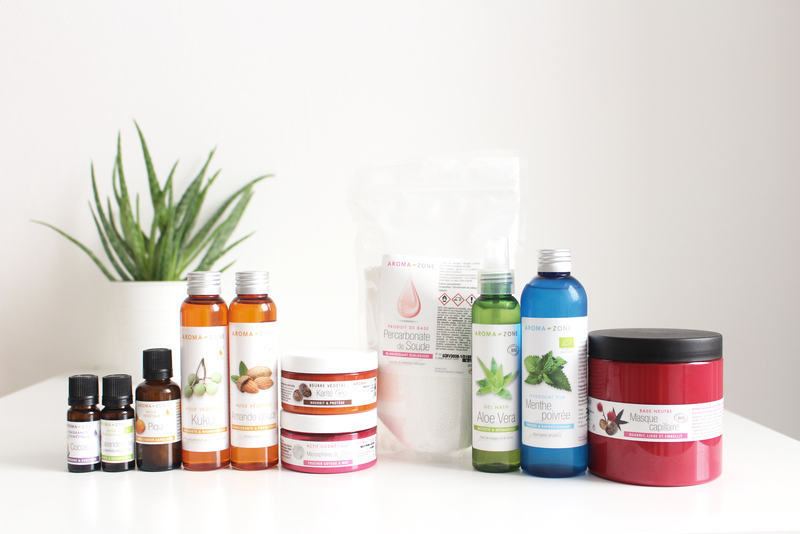 The store counts 1.500 references, including around 200 essential oils from all around the world, ingredients dedicated to DIY cosmetics, and the ready-to-use skincare range. There are also chemists, advisers, and digital search points to meet demands according to people’s needs. The program of public and professional workshops, which take place in the training area, reinforce the customer intimacy. Each participant can prepare one or several recipes of natural, ultra-fresh skincare products in groups of 8 to 12 people. There are two stores in Paris so far. I’m happy to tell you that nowadays I am offering workshops as well. It’s all about creativity with mixing scent & flavor. Check out the Airbnb From Flowers to Syrup experience for instance. For more options, just click the ‘Workshop‘ button on my blog. The idea is to host groups for bachelor parties, team building events, or gift sets that you create for friends. Great Christmas present as well!